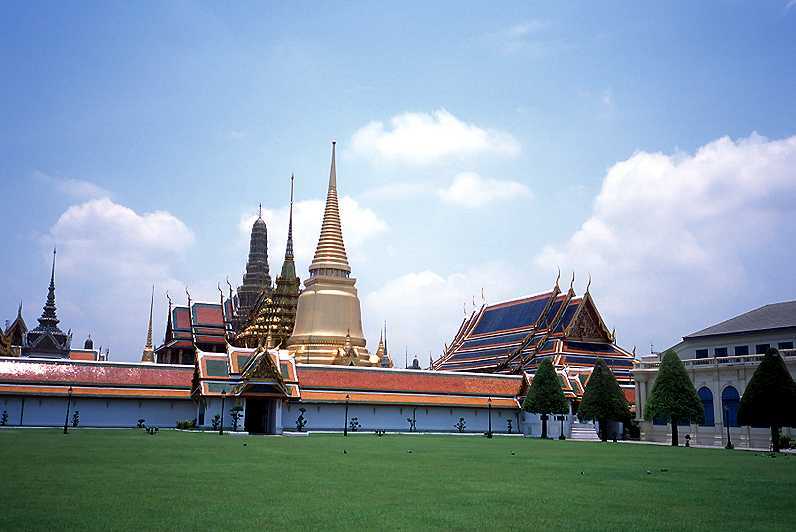 The Grand Palace ( 60-acre enclosure on the Chao Phraya River ) is a complex of buildings in Bangkok, Thailand. It served as the official residence of the king of Thailand from the 18th century to early in the 20th century. Construction on the palace complex began in 1782 during the reign of King Rama I, founder of the Chakri Dynasty.